Earlier this week, Google showcased the Android Wear, an operating system designed to work on smartwatches. It’s not just the operating system, several OEMs also showcased their smartwatches powered by the new OS, including Samsung, LG and Motorola, with more expected to launch in the coming months. 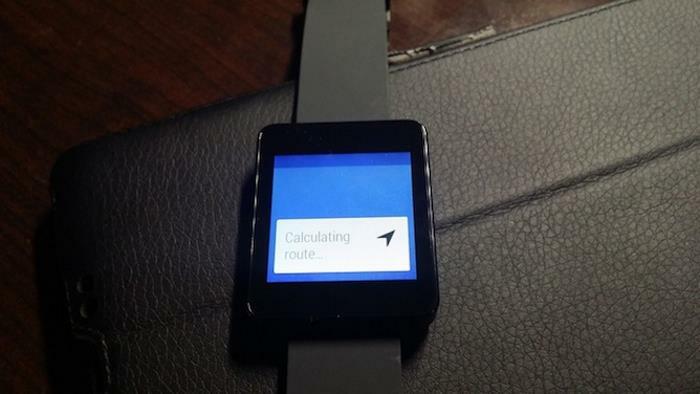 Those developers who received the watch and tried to use Google maps routing on it were all left in vain, until now. Google has updated Google Maps, bumping it to version 8.1.1, and brings support for Android Wear devices. The update didn’t introduce the support for devices running on Android Wear, the change log on Google Play also mentions that some bugs have been fixed as well. LG G Watch and Samsung Gear Live went on sale the same day they were announced on the Google Play Store. Both devices are up for pre-order on the Google Play Store, with an expected shipping starting in July. The updated Google Maps can be downloaded from the Google Play Store. It appears as if Google has already started updating its apps before the smartwatches hit retail across the globe, and we’re hoping other developers will do the same before the watches are in hands of the customers.